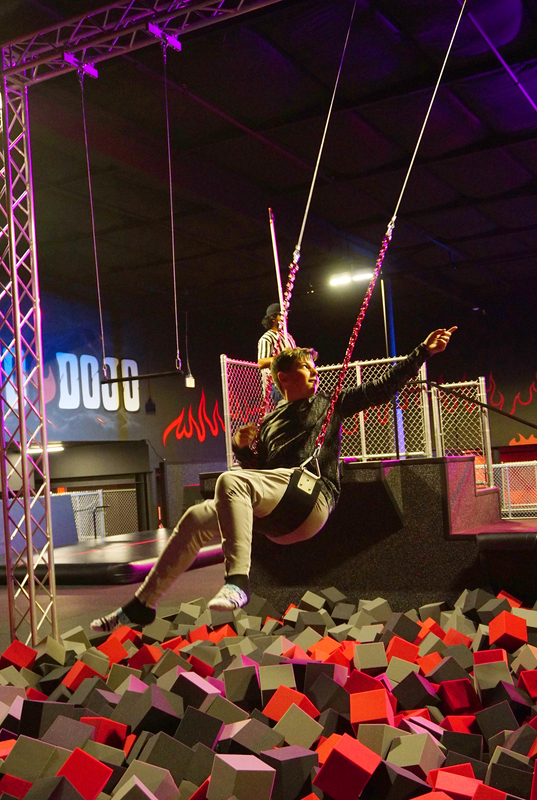 Take a sneak peek at Mojo Dojo, Sacramento’s newest and most AMAZING trampoline park and SO much more! 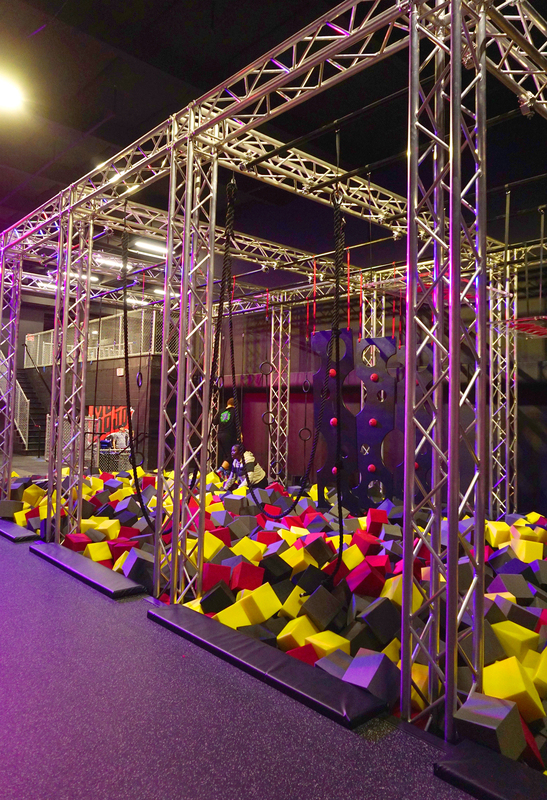 Ninja obstacle course, parkour, “Super Tramp,” trapeze, aerial silks, extreme dodgeball, basketball air dunk, and even MORE! Last week we had the chance to experience Mojo Dojo on a sneak preview VIP Night before their official grand opening, and you guys, it is AMAZING! 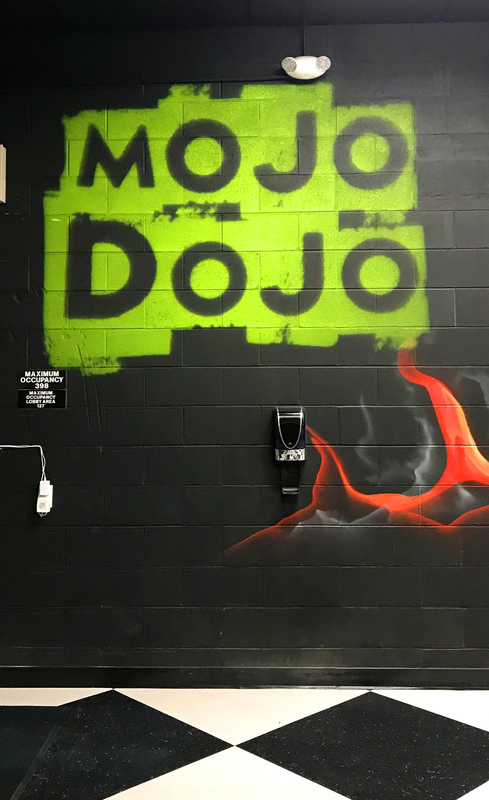 Mojo Dojo is SO much more than just another trampoline park, and my kids are absolutely hooked! 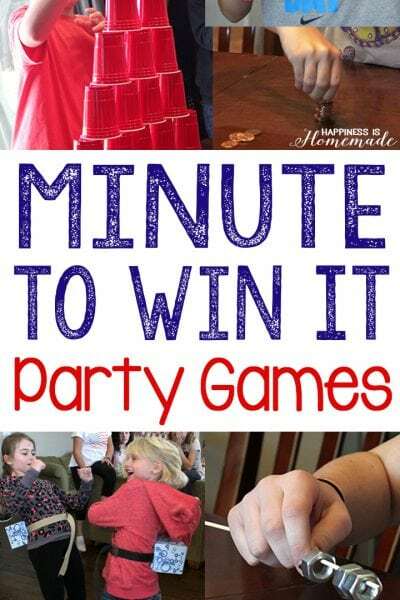 Every one of them has asked to have their next birthday party at Mojo Dojo already, and even the grown-ups are excited about that idea – it was a TON of fun for all ages! To start the night, everyone had to slip into their special Mojo Dojo socks, and unlike some other places, Mojo Dojo knows how to make non-skid socks SUPER fun! 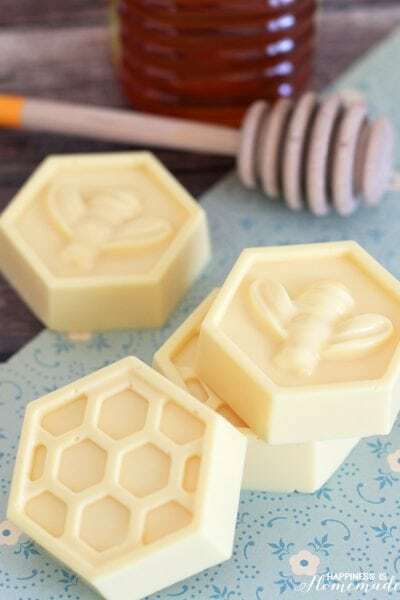 They have a bunch of crazy patterns to choose from in a wide array of sizes, so there’s something awesome for everyone. My boys have been insisting upon wearing them as regular socks just because they’re so fun and comfy! 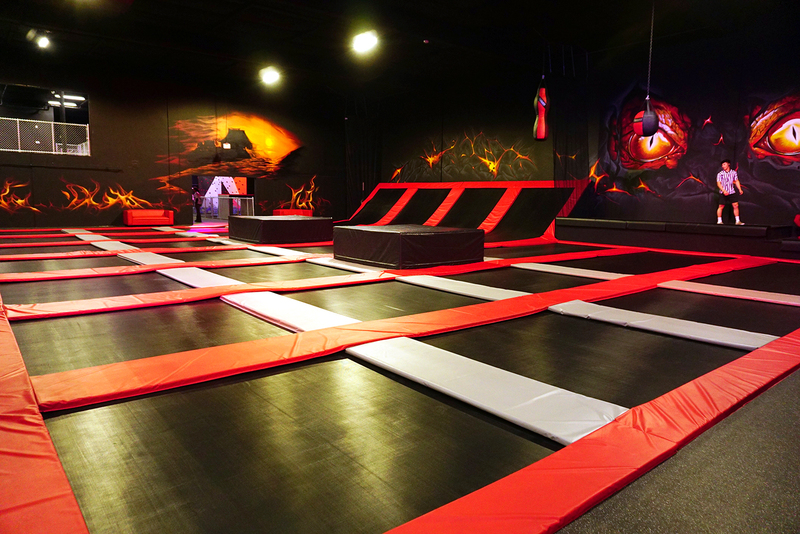 Mojo Dojo has an enormous trampoline area where kids can literally bounce off of the walls! 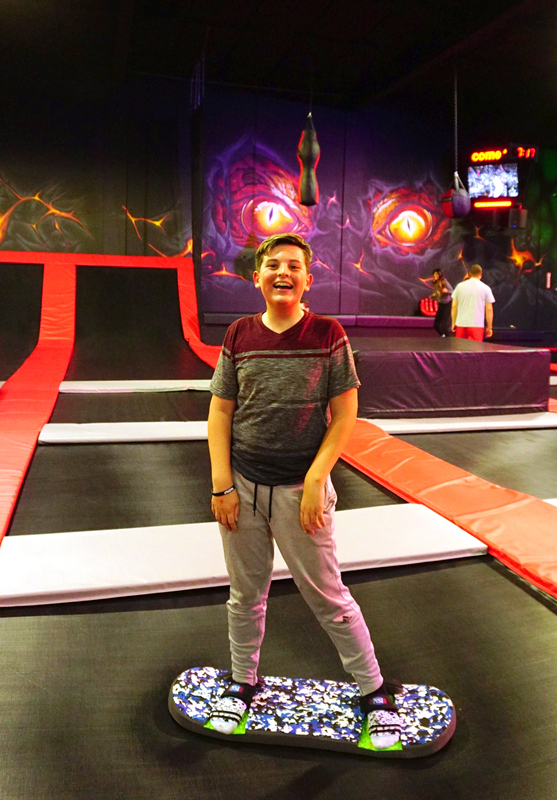 One cool addition to Mojo Dojo’s trampoline area are these BounceBoards that allow you to jump and flip with the board attached to your feet. 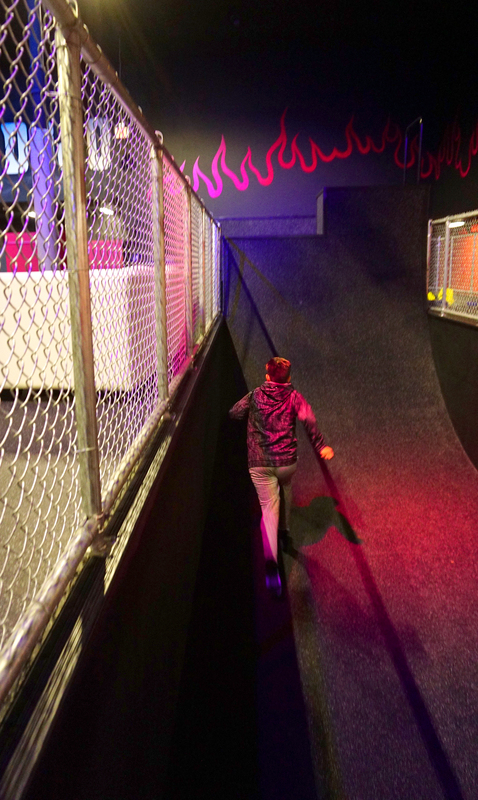 My snowboarders were super happy to practice their tricks in the Mojo Dojo trampoline park! 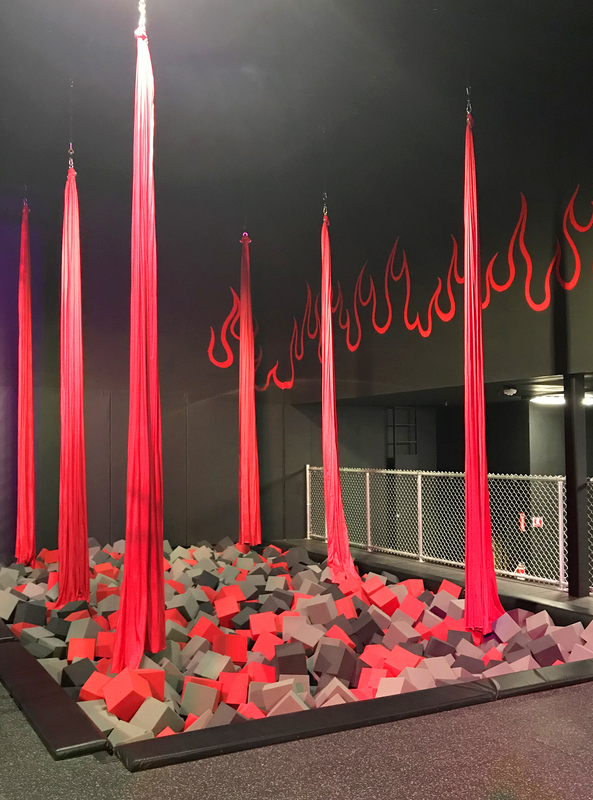 Mojo Dojo has a complete ninja obstacle course that incorporates rings, ropes, suspended plastic panels, and mesh cargo nets into a challenging physical course that requires both strength and stamina to complete! 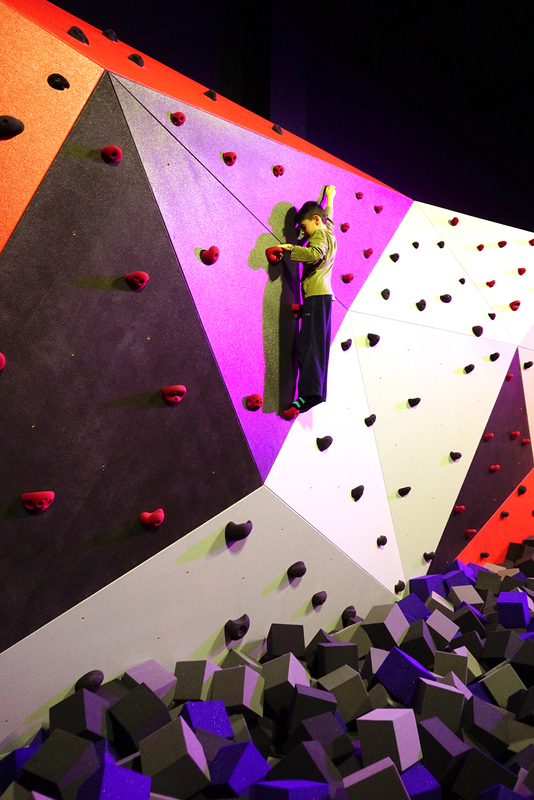 The rock climbing wall was a blast and the safety and security of the foam pit below gave my scared-of-heights 7-year-old the confidence he needed to scale the entire wall on his own! 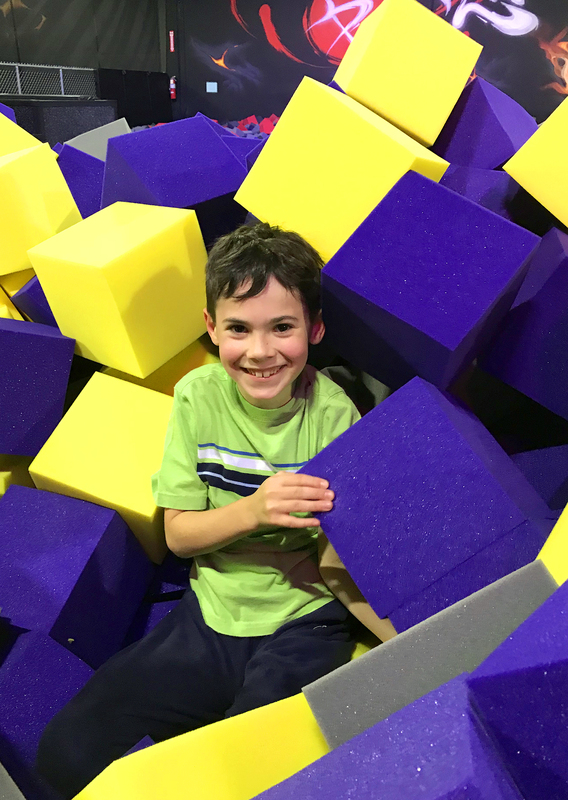 With his confidence at a high, he also successfully tackled some of the parkour obstacles and declared himself the master of the “Super Tramp,” an extra bouncy trampoline that’s partially surrounded by padded walls for an all-around bouncing experience. 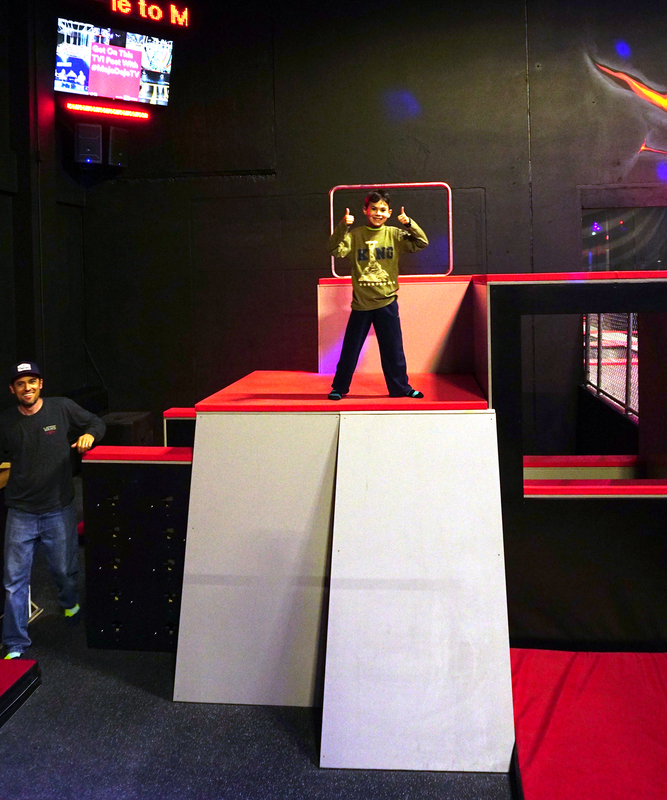 My older boys both scaled the adult-sized warped wall and had some parkour fun of their own! For the aerially inclined, this aerial silk set up is pretty incredible! 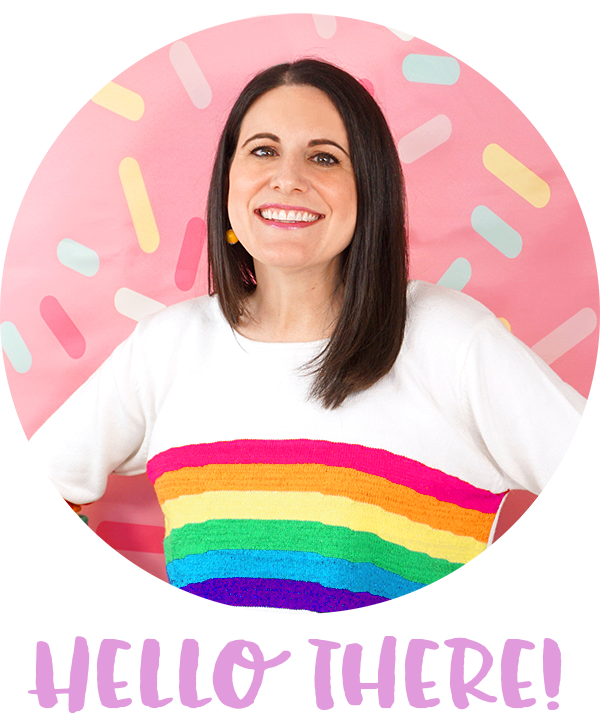 Mojo Dojo was designed and built by parent company Circus Trix, so it’s no surprise that there are several circus-type activities at Mojo Dojo! 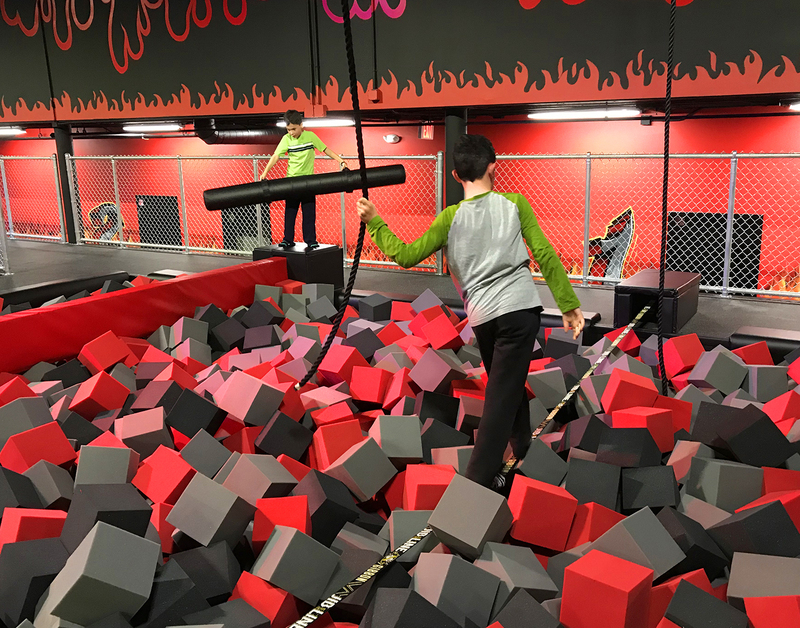 The swing-and-jump and trapeze pit was a HUGE hit with my boys, and one of them declared this as his most favorite part of Mojo Dojo! 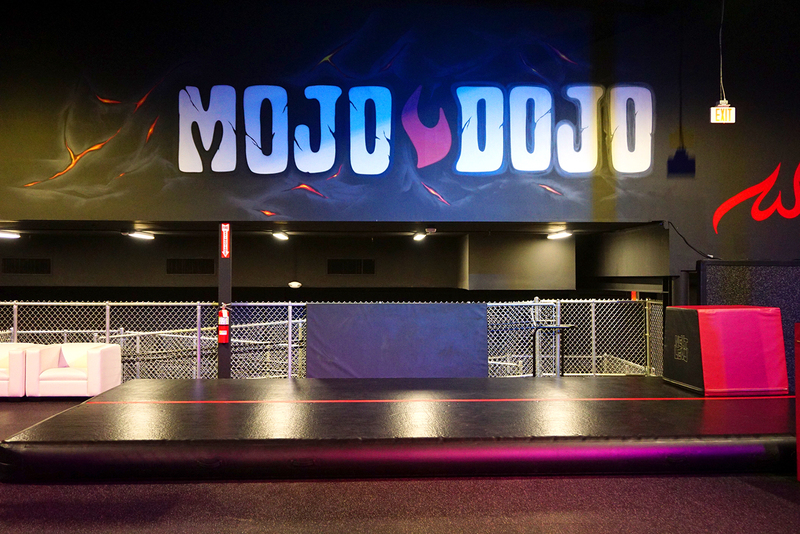 There are numerous foam pits at MojoDojo, but this large centrally located one is designed simply for jumping and playing in as opposed to keeping you safe and sound! The slack line and foam jousting arena was another family favorite! 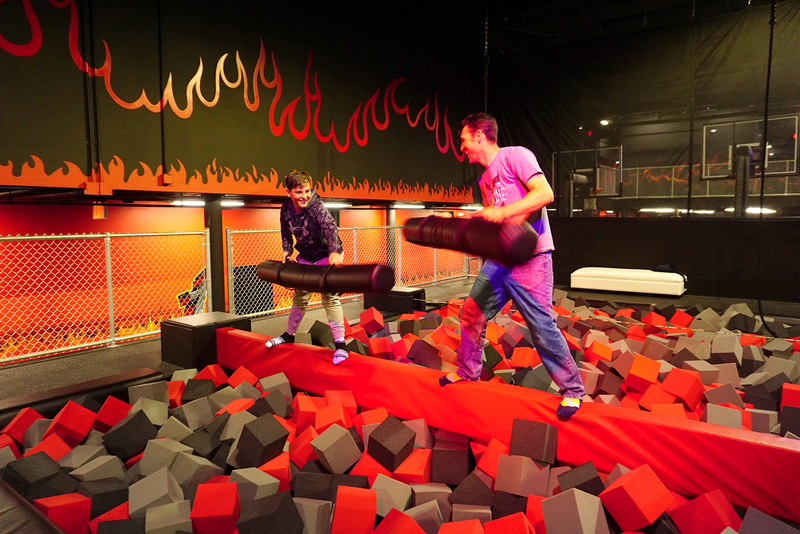 There is also a completely enclosed extreme dodgeball trampoline area (with SOFT but sturdy foam balls that don’t hurt!) 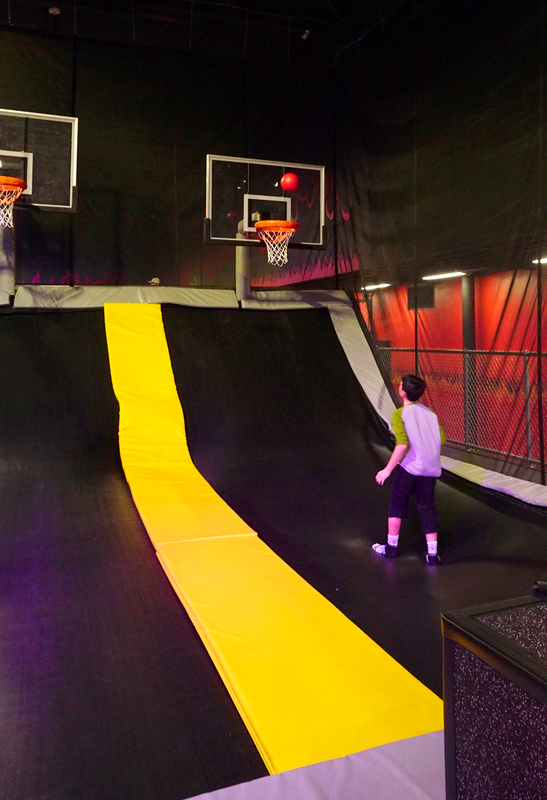 and basketball slam dunk trampoline that the kids had a ton of fun with. 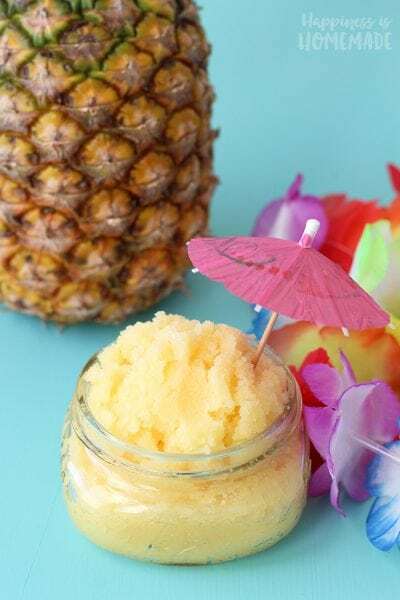 And if all of that jumping and running sounds exhausting, there are plenty of couches, chairs, and awesome lounge spaces at Mojo Dojo where parents can relax or squeeze in some work while the kids play! 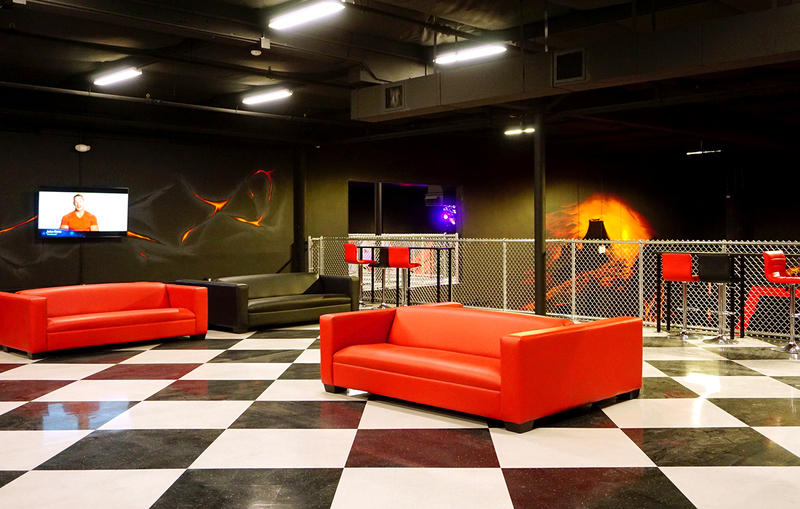 This upstairs lounge overlooks the central trampoline area and is conveniently located near the restrooms. Starting at just $11 for an hour of “flight time,” Mojo Dojo is going to be a fantastic way to spend a rainy day or a hot summer afternoon! 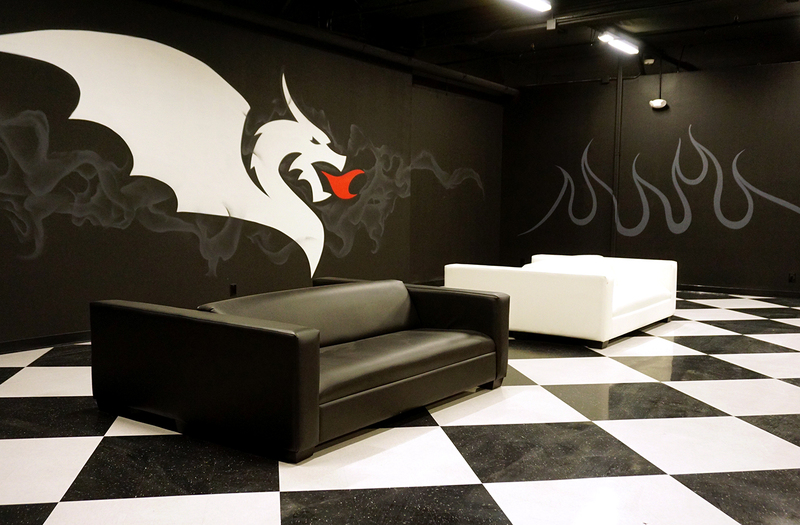 If you want to see more, take a peek at the full video tour of the facilities here!